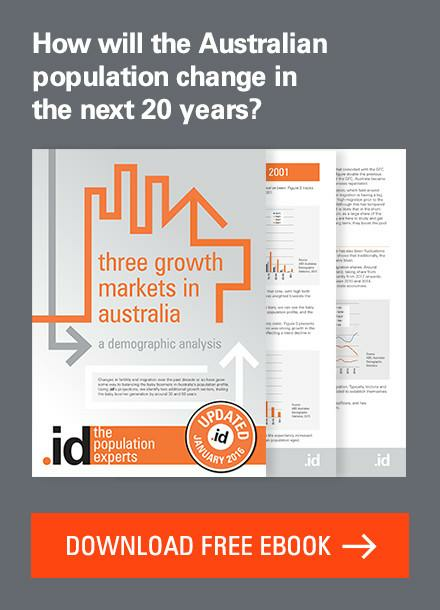 Glenn’s analysis of the latest population figures reveals interesting trends for the nation, as well as for Victoria, Tasmania, the NT and ACT, Queensland, Western Australia and South Australia. Ok..everywhere but New South Wales. Just before Christmas, (21/12) the ABS released the latest update of Australian Demographic Statistics, including a quarterly publication update. I’m sure everyone read it dutifully over the Christmas break, but for those of you who haven’t had the chance, here is a summary of what it contains. The December release of this quarterly result is the most important one, as it contains the figures for end of June (2018) – the financial year- and the same time period as the annual local area population statistics are based on. When did the 25-millionth Australian actually arrive? Remember all the fuss about the 25 millionth Australian, who supposedly arrived about 11pm on August 7th, 2018? Well, we said at the time that was just a projection (we’ve previously written about the difference between a forecast and a projection)- and even with this release, the official statistics still haven’t caught up to this time period. At June 30th 2018, Australia’s official population was 24,992,400. After the next release, we should see how accurate the August 7th figure was (though technically we only ever know end of quarter populations). But based on the current rate of growth and these figures to June 30th, it’s likely that the 25 millionth Australian was already well and truly settled into the country (or, if it was a baby, safely home and sleeping through the night). They probably arrived around 3 weeks earlier – about mid-July. By August 7th, the population should have been about 20,000 over the 25 million mark. The growth over the past year was 1.6%, or 390,500 since June 2017. That’s just a tad slower than the 1.7% or 411,000 growth in the previous year, but it’s still pretty high. 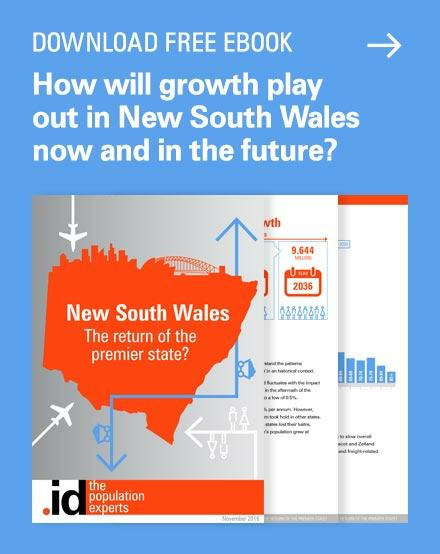 Victoria remains the fastest growing state or territory, with 2.2% growth (The ACT shows the same but to 2 decimal places is slightly less), and 138,000 new residents in a year. As with the national total, that’s just slightly under the 2017 increase of 148,000, but still very high. Tasmania’s population is growing at an increasing rate. Its growth rate of 1.1% or 5,600 people is the highest seen there in 10 years, and bucks the national trend. The Northern Territory actually lost people – its population declining by 236 people in a year, to sit at 247,300. A few trends that we’ve seen in recent years are reversing a little. Net overseas migration is still very high, but came back down to 236,700; about 27,000 less than the previous year. Queensland returns to being the premier state for people to move to from interstate. It gained 24,700 in net interstate migration in 2017/18 (mostly from NSW), well up from the 6,000 or so it gained per year in 2015 and 2016. 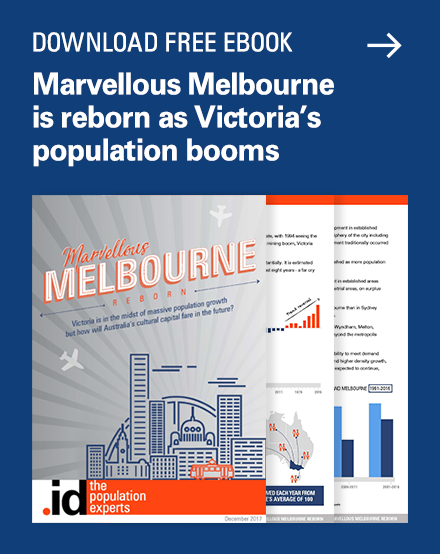 At the same time, the strong migration into Victoria has eased a bit, down to 14,300. 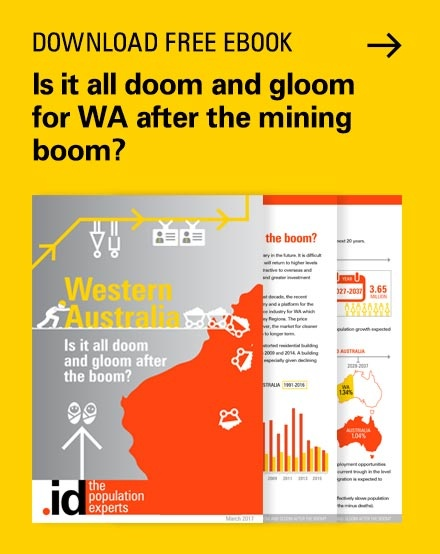 Western Australia’s downturn is showing small signs of trending back up. The population grew by 21,600 in a year, which is about 3,000 more than the previous year. Overseas migration is back up to 13,500 (still a far cry from the 50,000 p.a. of 2012 and 2013), and the large losses interstate are ameliorating a little, down to 11,300 loss in the last year. 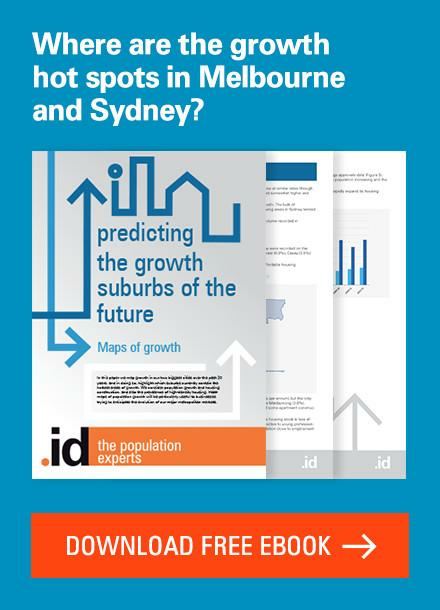 South Australia’s numbers change very little from year to year – they lose about 5,000 people interstate every year, and gain about 12,000 from overseas, with total population growth of 12,500, very similar to the previous 5 years. The .id Community suite doesn’t show updates for these national and state population numbers. 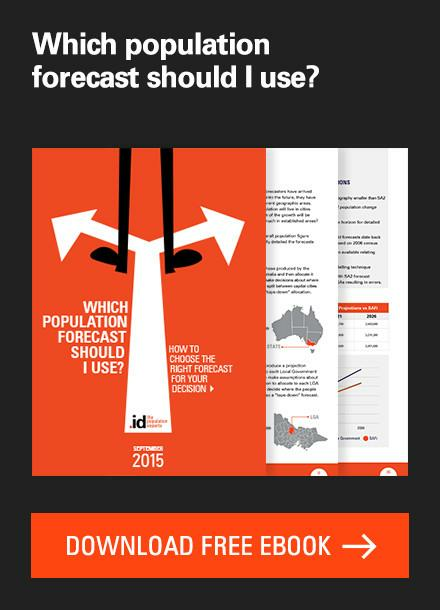 The Local Government Area population estimates come out in late March each year. So the state and national figures will be updated on our sites at that point, allowing direct comparison at the Local Government level. 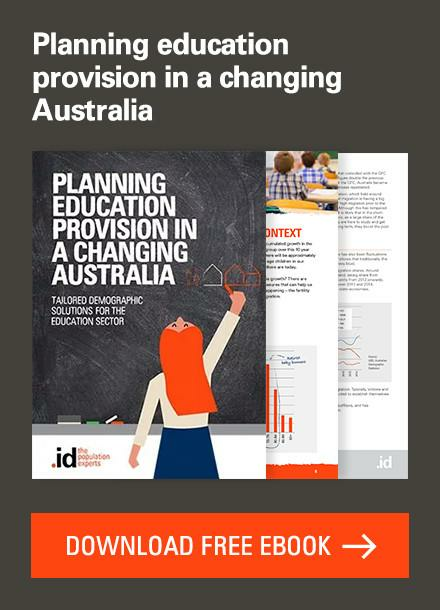 If you haven’t seen them before, you can find all the tools in the .id community suite via our demographic resource centre, along with helpful guides, eBooks and other resources to help you get the most out of the extensive data available in our online tools. 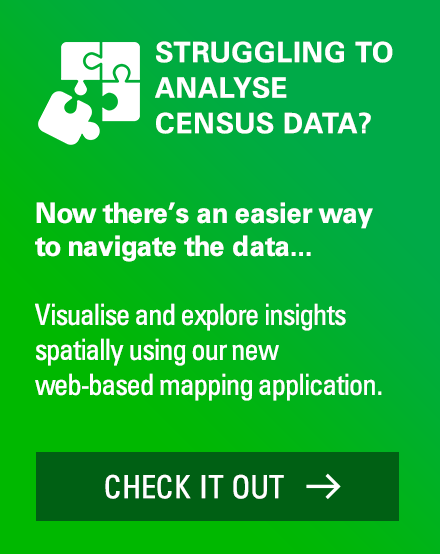 National demographic indicators for New Zealand – where does your area rank? Hi Glenn – love your work. In this case, I think the headings on column 5 and 6 of your table have been mixed up. Thanks, good pickup, I’ve fixed that up.